All natural simple and silky dusting powder, naturally deodorizing. Contains antibacterial and antifungal ingredients. Helps to prevent chafing and rashes. Does not contain talc or corn starch. Ora's Amazing Herbal is a small family run busiess that never tests on animals. Truly unscented. 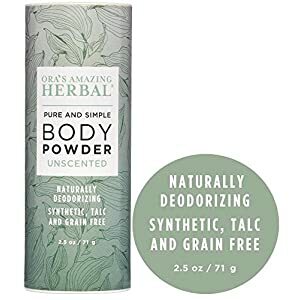 This finely milled powder absorbs excess moisture, as well as functioning as a gentle deodorant, and soothing any irritation. Use it as you would any dusting powder. Notice it leaving your skin silky soft. Combine with our salve to make a natural and gentle deodorant. Great used as a foot powder or dry shampoo as well. No lung clogging talc or rash causing corn starch. 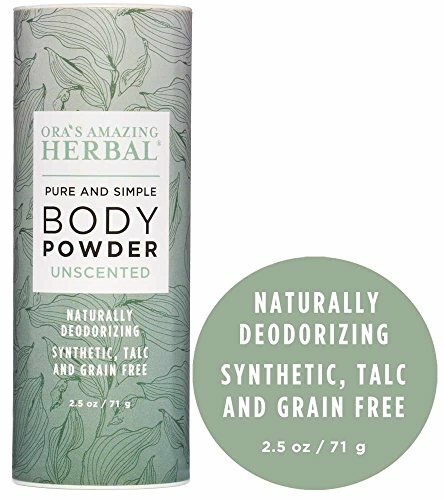 Contains nothing but pure white Kaolin Clay powder (tested lead free), Baking Soda, Arrowroot Powder, and Organic Plaintain Leaf Powder. Finish diaper changes with a delightful, feather-soft puff of powder. Moms, dads and babies everywhere have fallen in love with our Silky Dusting Powder! This is because it is incredibly absorbent in order to keep baby dry and comfortable until the next diaper change while also being 100% fragrance and talc-free. 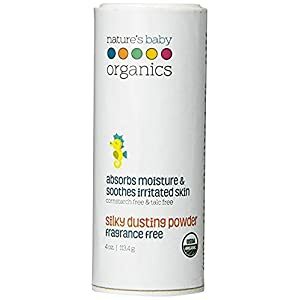 It is safe and gentle enough for all infants, even newborns, as it is made out of nothing but USDA certified organic ingredients like Tapioca Starch. And to further soothe and calm irritated skin, we added certified organic Aloe and Chamomile. Dust over baby’s bottom to absorb wetness and relieve chaffing. It’s important to note that this dusting powder isn’t only for babies. 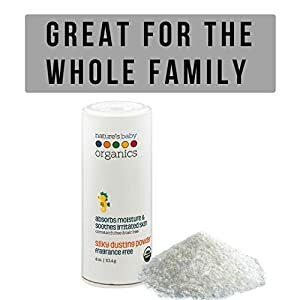 Any member of the family can benefit from using it as well when they need to quickly freshen up after a day in the heat or following a strenous workout. Replace your baby powder with a natural and healthy alternative to talcum powder. 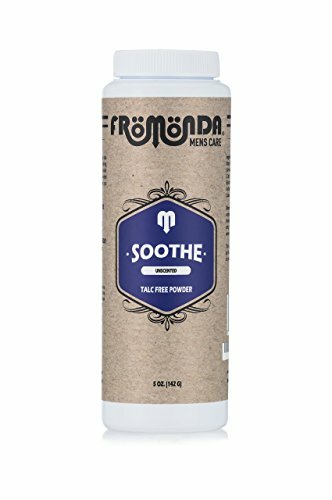 Fix the funk in your junk with Fromonda's line of talc-free body powders. 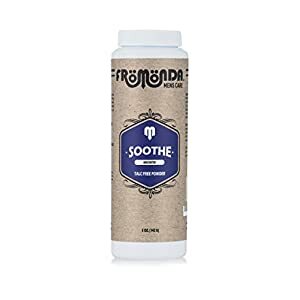 Fromonda Soothe uses the finest blend of 100% all-natural ingredients and is infused with skin soothing colloidal oatmeal, organic chamomile and calamine powder. 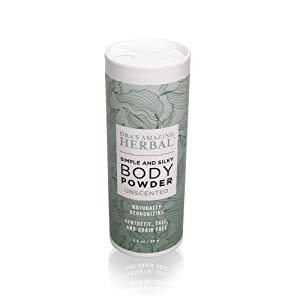 The invigorating and cooling sensation with an unscented but powerful combination will keep the boys cool, fresh and naturally dry all day long. Contains NO parabens, artificial colors, sulfates or fragrances. All Fromonda products are certified vegan and NEVER tested on animals. 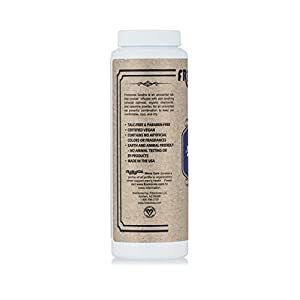 10% of all product profits are donated to Testicular Cancer awareness and prevention Fromonda's products are manufactured in the USA and source materials, packaging and labels from domestic suppliers.